Enjoy the top 2 famous quotes, sayings and quotations by Aaron Crabill. “I mean," her mother paused to choose her words, "maybe you'll get involved in some school related activities, or join a team, or maybe meet a nice boy." "Ugh," Keely groaned, "I don't have time for that stuff mom. We've talked about this." "Because of the little ghost ... searching ... thingy you and Tad do?" "It's called paranormal investigation mom." 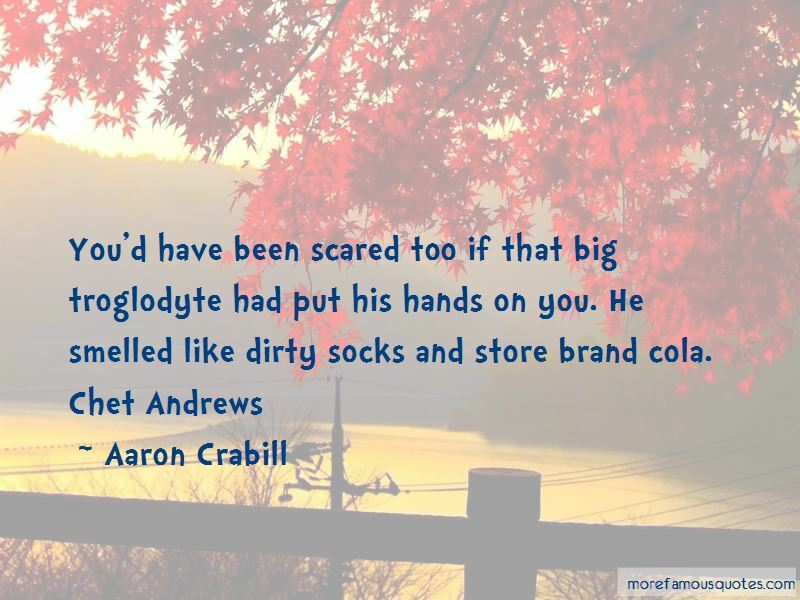 Want to see more pictures of Aaron Crabill quotes? 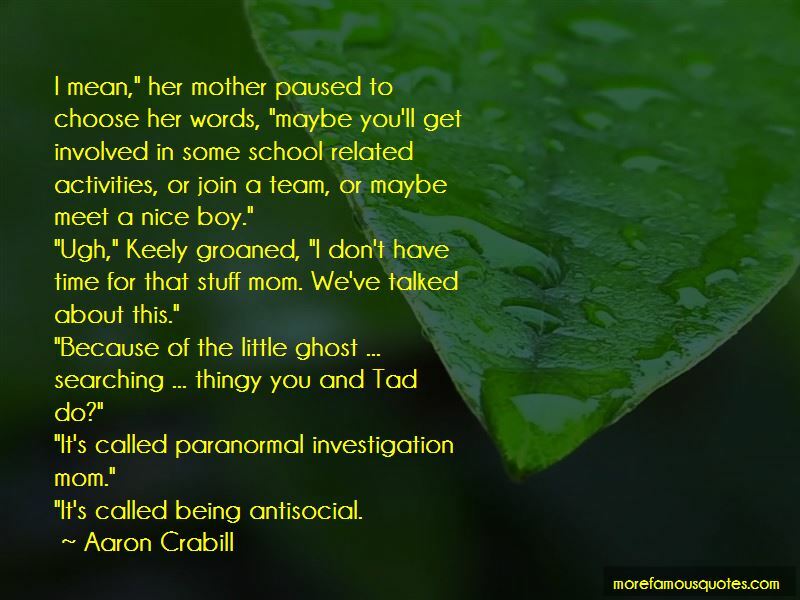 Click on image of Aaron Crabill quotes to view full size.